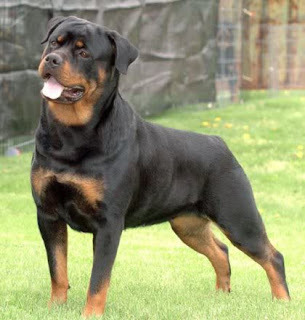 The breed standard on the Rottweiler color !! 'Always black with rust to mahogany markings. The demarcation between black and rust must be clearly defined. - on inside of rear legs showing down the front of the stifle and broadening out to front of rear legs from hock to toes, but not completely eliminating black from rear of pasterns; un-der tail; & black penciling on toes. The undercoat is gray, tan, or black. 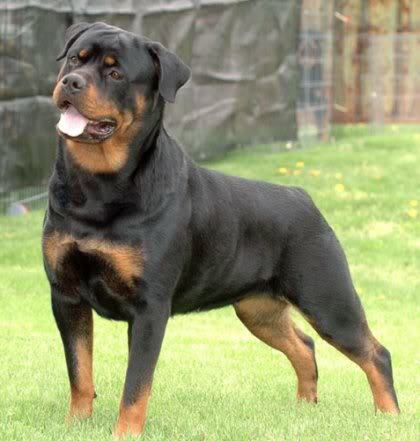 Quantity and location of rust markings is very important and should not exceed ten percent of the dogs body color.